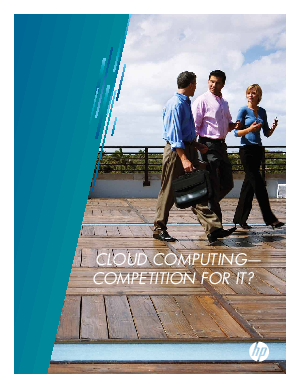 > HP and Intel® Xeon® processors > Is Cloud Computing Competition for IT? The IT landscape today is rapidly reshaping to fit to the cloud. A cloud infrastructure can be a lifejacket for your organization, but too many companies still make a move to the cloud without properly considering the challenges. This white paper discusses the opportunities that can be had with a cloud infrastructure and reveals the changes that need to be made to ensure a truly successful cloud infrastructure.